I'm finally full term! I am so ready for Baby to come out! I have another appointment with my midwife on the 27th, but I am secretly hoping Baby comes before then! It was so weird today because I walked to my Doctor's Surgery and was fine, but on the walk home, my back was KILLING me. Now I'm struggling to move from where I'm sitting on the sofa! Is it gonna be like this for the next 2.5 weeks?! Baby, please come soon! 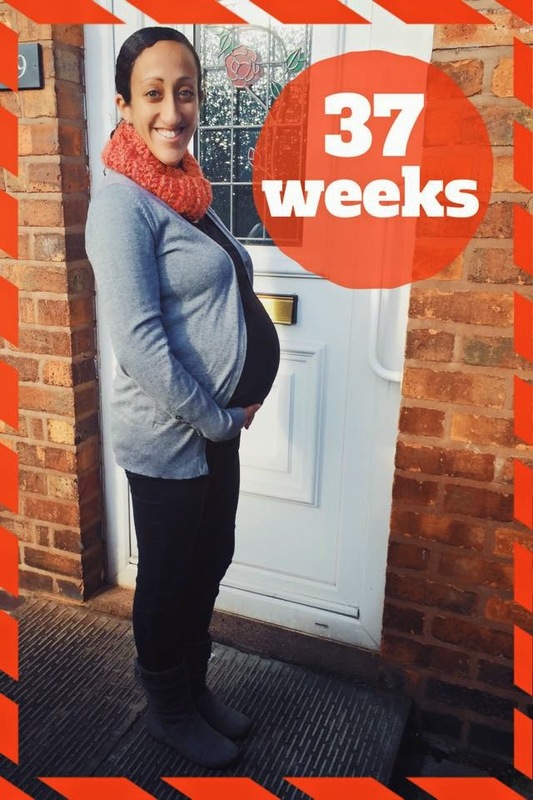 We are ready for you now—especially since we've now been to an antenatal class and toured the delivery suite at the hospital where you'll be born! Symptoms: Difficulty sleeping, frequent urination, lower back pain. How I'm feeling: I'm in a constant state of tiredness! I am so ready for Baby to come out! This entry was posted on Jan 13, 2015 and is filed under Pregnancy . You can follow any responses to this entry through the RSS 2.0 . You can leave a response .